Every day I try to find some of the best content from the web to share with you on my show. Here’s what I found and loved today! Offense? DEFENSE??? No, we’re going to work on your handshaking. People need to know you’re best friends when you step on that court. 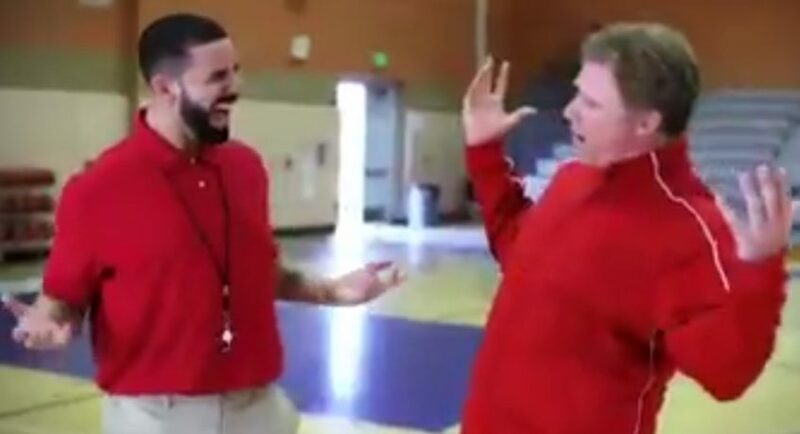 Drake and Will Ferrell give us some schooling on what really matters on the court. That’s right, and you try and tell them herding is easy. This proud ferret mom won’t let her owner leave. She keeps dragging him back (sort of) to play with her pups.